This entry was posted in buildings, canopy, classification, DEM, DSM, forestry, LAS, LASlayers, LAStools, lasview, LAY, LiDAR, raster, vegetation. Bookmark the permalink. 1) Would be nice to have some sort of standard naming convention for surface models. DTM in particular is problematic. I like your suggestions better but was a bit confused what was meant by rdDEM. 2) Great example of the power of lasclassify! 3) Our desired end state is to have a representation of canopy in either raster or vector form so that the area of canopy can we quantified. Classifying the LiDAR points, while valuable for many applications, does not provide us with what we need, which is why we focus on objects. 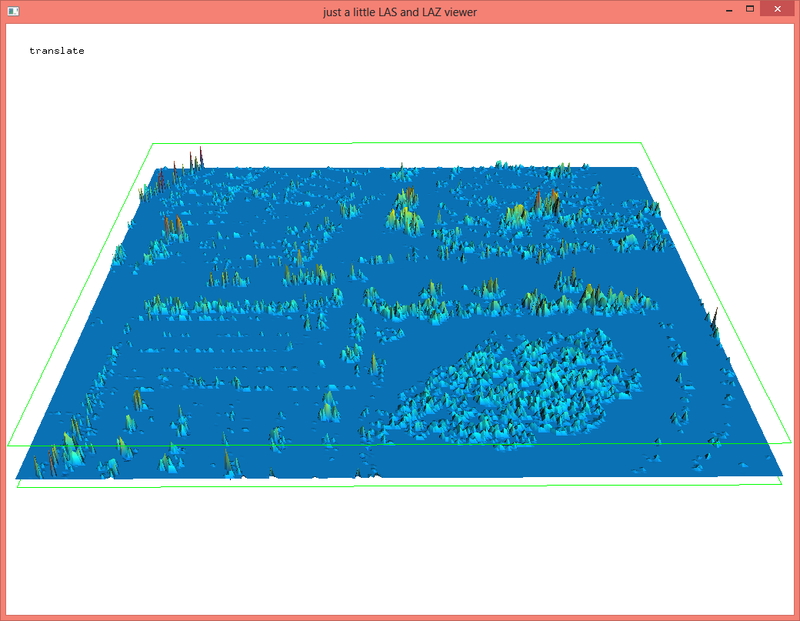 For a strict point cloud classification LAStools is the way to go. Jarlath, do you have a better suggestion for the naming of what I have (temporarily) called “return difference DEM” aka rdDEM? Maybe “multi return height difference DEM” aka mrhdDEM? 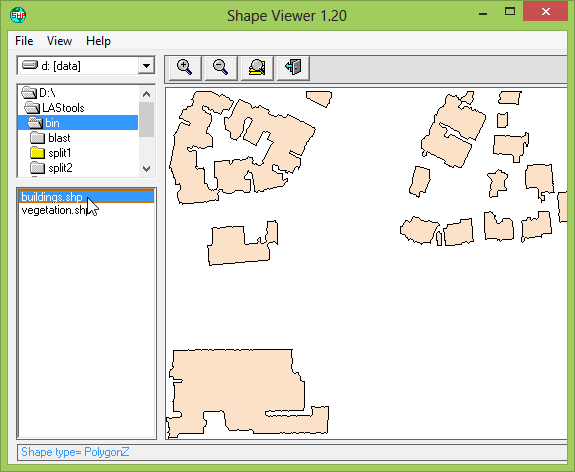 (-: I have updated the blog with two more steps that use lasgrid and lasboundary to turn the classified point clouds into either raster or vector form so you can either improve it further using aligned raster imagery or directly compute roof and canopy areas in a post-processing step. I would like to know more about the “-occupancy”, “-subcircle”, and “-false” command line arguments. The lasgrid_readme.txt doesn’t mention them. I don’t have a better suggestion, but wish we did have some sort of industry standard for all of these various layers! We use our naming conventions more out of habit than anything else. I know some people (mainly defense) who use “DEM” to describe any surface model. Object-based approaches have key advantages in dealing with gaps in LiDAR (due to leaf-off) and morphological operations to make things look good (which is how people often judge out data), but this gets me thinking that running lasclassify, then populating that information into the object would likely yield superior results to what we have been doing. Time to test things out. Thanks for this great post! 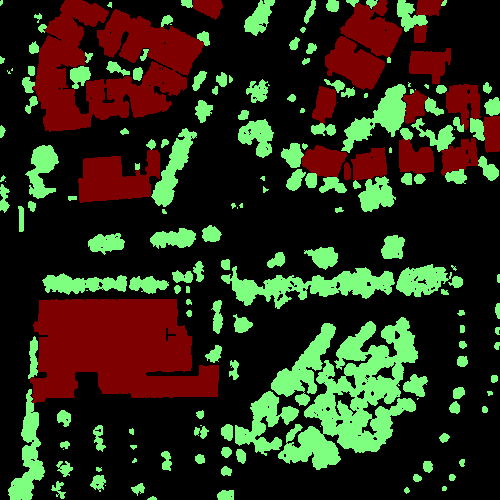 I use an eCognition (trial version) classification approach on 50cm (RGB-NIR) orthophoto imagery, using raterized lasclassify results (relative building and tree heights rasters) as additional input. As you pointed out, Jarlath, the object-based approach works well filling the gaps left from the Lidar classification. While the approach works well for me basically, it could be even better if I had imagery and Lidar data that were collected at the same time over the area I use. But since this is for a proof-of-concept lab exercise, it doesn’t have to be perfect. I’d be happy to share a few screenshots, but can’t seem to include any here. I looked at my classification mentioned in my previous comment and noticed some of the improvements as well as additional misclassifications that adding spectral information causes. 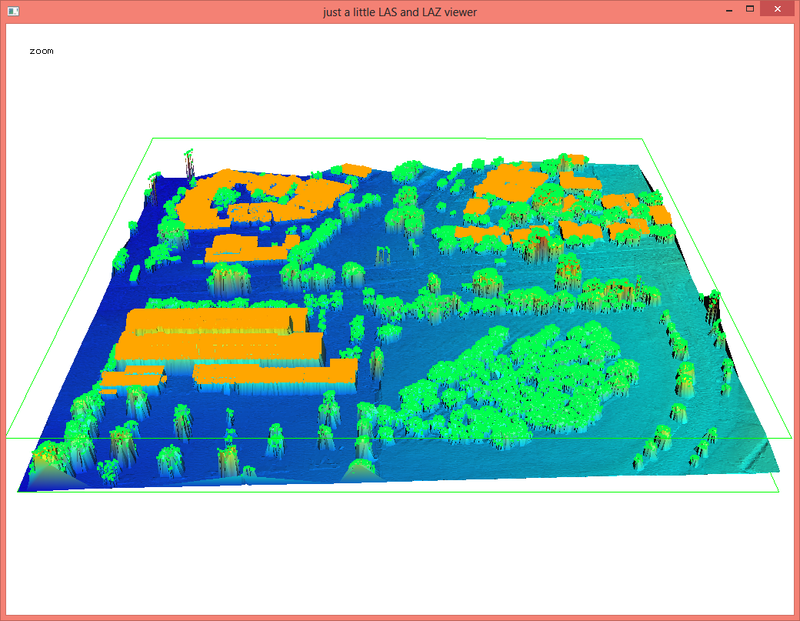 I’m wondering if you have looked into improving lasclassify by incorporating RGB values, or rather instead of RGB values NDVI or at least NIR values to better discriminate between buildings and trees, when the -planar option cannot catch everything. With Lidar data coming in ‘richer’ formats (e.g. RGB values etc.) that might be an area worth looking into. Any thoughts? Dear martin isenburg , It is very helpful. It would be more flexible if you could provide video tutorial of this type of specific problem. Looking forward to your new tutorials.